The Current Health Scenario. : Tetanus Vaccine: Conversation of Mother & Doctor. Tetanus Vaccine: Conversation of Mother & Doctor. Doc: We're going to give her a tetanus vaccine. Mom: Really? What brand and configuration did you have in mind? Mom: You mean the Tdap? Mom: So, you want to give my child a vaccine for 3 diseases when you're only concerned about one? Mom: So... How long will it take for the vaccine to help her create antibodies against Tetanus? Mom: If this wound contains Tetanus spores, how long before the spores start producing toxins causing lockjaw then death? Mom: So you want to give her a vaccine that she won't mount an immune response to until about a week after she’s dead? You did say you went to Medical School, right? We left without the shot or TiG... Scares me that I have more information than a doctor. It should scare you too. — ￼feeling concerned." 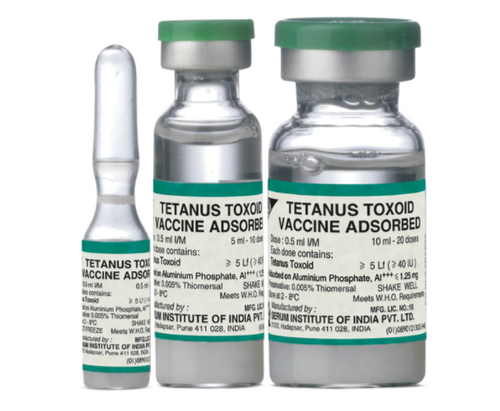 - Tetanus spores do not survive in an oxygenated atmosphere. Clean and wash wound, leave it open or bandage with gauge lightly. Just following this brought down cases of tetanus drastically. Why preventive medicine has failed. Study finds Muslim children healthier. Horror: Polio Vaccine Paralyzes 490,000 in India! What Nutrition Campaigns Must Ensure. How do you end up so sick? Underlying Concepts of Holistic Health. Laura Hayes: A strong case against vaccines. What do doctors learn about vaccines? Why we respect Dr Wakefield. Current Diseases: Are Genes Responsible? Germs & Viruses: Friend or Foe? How do we ensure nutrition? Is there a God? Where is He? How vaccines harm your child. Indian Doctor's Point Out Irrational Vaccines. Truth about vaccine safety or efficacy testing.